This year saw the addition of a number of tender plants to my succulent collection. For the first time ever, I’m forced to overwinter plants inside the house since I don’t have a greenhouse or conservatory. Most these are “fat plants,” a category made up of caudiciform and pachycaul plants. “Caudiciforms” have a swollen base or enlarged underground stem (known as a “caudex”). “Pachycauls” have a thickened or swollen trunk. All fat plants hail from warm climates, necessitating winter protection. Some of them might be hardy enough to spend the winter outside, but I’m not taking any chances since they’re still small. Others need temperatures consistently above 55°F. This is new territory for me and I still have a lot to learn. However, my fascination with these odd plants is so strong that I’m willing to go the extra mile to give them what they need to survive and hopefully thrive. Here are the plants that are spending the winter near the large window in the loft. This window faces west so it doesn’t receive as much sun in the winter as it does in the summer. However, there are also three south-facing windows to the left that provide extra sunlight. Since most of these plants are quite small, they don’t look like much. At first glance you might wonder why I would want to collect something so plain or uninteresting. For this reason, I’ve added photos of larger specimens, either in the wild or in cultivation. At least you’ll get a better idea of the potential these plants have, even though few of them will ever get to the size they would reach in their native habitat. Seen from a distance, the plant has the appearance of a person trudging up a slope whence its common name of "Halfmens" (Afrikaans for 'semi-human'). © Graham, onestonedcrow.blogspot.com. Reproduced with permission. 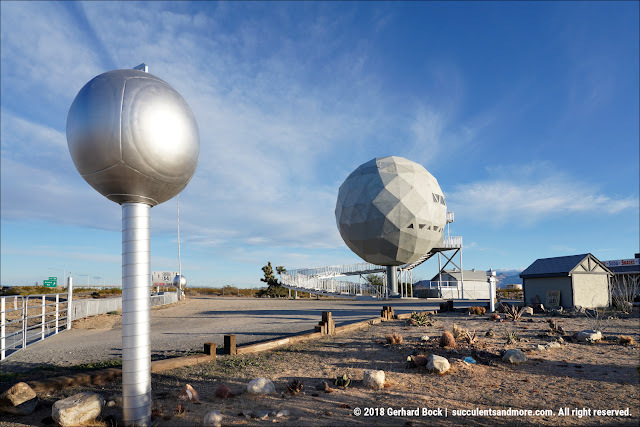 Click here to visit Graham’s fascinating blog from Namibia. My second pachypodium, Pachypodum succulentum, is also native to South Africa. It is supposed to be able to withstand light frost, so I may leave it outside next year. Collectors grow it not only for its caudex but also for its attractive flowers that can range from pink to crimson (see the 2nd photo below). The best-known caudiciform is the desert rose (Adenium obesum). While not completely mainstream, it’s not a rarity either. I sometimes see it for sale at the garden centers of the big home-improvement chains, or even at Walmart. In recent years Adenium obesum has been heavily hybridized to create new flower colors and shapes, such as double flowers. It is particularly popular in India, Thailand, and Taiwan. Check out this interesting article on the adenium industry in Asia; this site also has useful cultivation information. I have two desert roses. 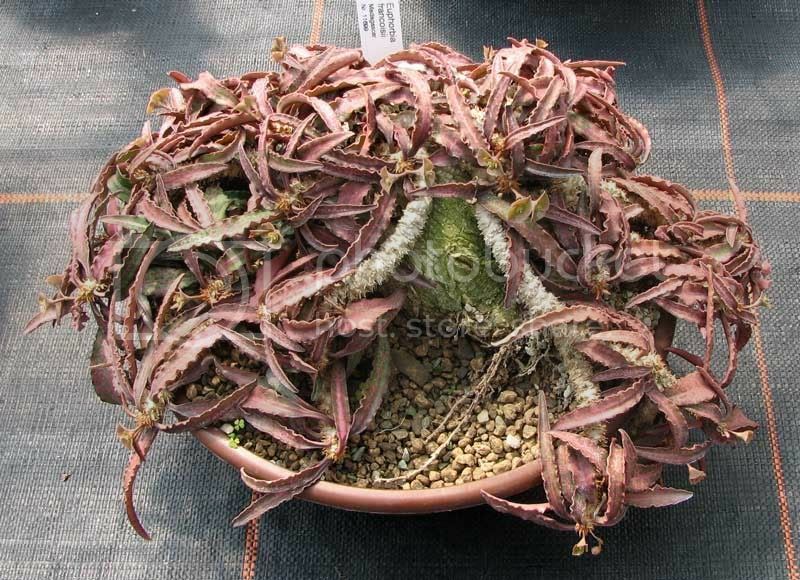 One is small (in a 4-inch container) but with a relatively fat caudex. The other is much larger overall, with larger leaves but a smaller caudex. But plants are dropping leaves right now, entering a phase of semi dormancy. The biggest threat at this stage is overwatering which might lead to rot, so I’m being careful. Adenium obesum is indigenous to eastern and southern Africa and parts of Arabia. In its native habitat (see photo below) it can reach heights up to 12 ft. but in cultivation it’s much smaller. The desert rose has attractive flowers that can be shades of pink, red, white, or a combination thereof. Supposedly they can flower anytime of the year, although spring and fall are more typical. They prefer sunny—even hot—spots and can take a lot of water when actively growing. In the winter, they need to be kept on the dry side, especially when they drop their leaves. This holds true for all fats plants described in this post. Fockea is a genus of caudiciform plants native to South Africa and Namibia. In situ, the caudex can be up to 2 ft. in diameter and is usually completely buried. In cultivation, the caudex is raised for display purposes. When actively growing, fockeas produce vines that can grow to many feet (one source says up to 12 ft.). For older plants, a support needs to be provided. My Fockea edulis is small so I just let the vines scramble up the window. This is what a larger specimen looks like. The caudex is very impressive. Dendrosicyos socotrana is a bottle tree only found on the island of Socotra off the coast of Yemen. It’s common name is “cucumber tree,” alluding to the fact that botanically it’s a member of the Cucurbitaceae (or cucumber) family. In its native habitat, this pachycaul can grow to 18 ft.
Stapelia gigantea, commonly called “carrion plant” or “toad plant,” is found in southern and eastern Africa and superficially resembles a euphorbia or cactus. They form ever-increasing colonies and in the summer produce very large flowers which release an odor of rotting meat in order to attract pollinators, mostly flies. Stapeliads are very popular with collectors and a great deal of information is available on the web. This is a good place to start if you want to find out more. Stapelia gigantea flower. I chose this photo because the hand gives a sense of scale. The next five plants are all members of the genus Euphorbia. It’s one of the largest and most diverse genus in the plant kingdom, comprising more than 2,000 species that range from shrubs and trees (many resembling large columnar cacti) to annuals and perennials. The poinsettia is a euphorbia, as are crown of thorns and the European spurges. The genus Euphorbia also comprises a number of oddities, like Madagascar native Euphorbia cylindrifolia. Its stems resemble octopus tentacles and even its leaves look strange. Eventually, it forms a large underground caudex which can be raised (see 2nd photo below, taken by my friend Candy “Sweetstuff” at the Huntington Botanical Gardens in Southern California). © Candice Suter. Reproduced with permission. Click here to visit Candy’s blog. [T]he leaves and stems are the conspicuous features of these plants. With E. francoisii attractive cream color stems emerge from a geophytic caudex, or from a tangle of fat roots if the plant is a cutting. The branches sprawl gracefully in a random fashion making each plant a unique living sculpture. The uniqueness of each francoisii plant's leaf coloration and branch architecture is what I like most about this species. Every plant is a beautiful ever-changing, singular expression of Nature's wondrous and artistic hand. My Euphorbia francoisii in a 4-inch container. All you can see right now are leaves. The next three euphorbias were cuttings I received from my friend Candy when I visited her last month. I stuck them in pots filled with dry succulent mix, and from what I can tell (there are signs of growth on some of the cuttings), they must have rooted. I’ll wait a few more weeks just to be sure, and then I’ll start giving them small sips of water. Euphorbia enopla is a South African native. It forms colonies of short columnar stems that at first glance look a lot like cacti (no botanical relationship, but succulent euphorbias are often called the “cacti of the Old World”). The spines on Euphorbia enopla are very decorative and less lethal than they look. Euphorbia flanaganii is one of the medusa-head euphorbias. Its sprawling stems resemble the serpents that ringed the head of Medusa. 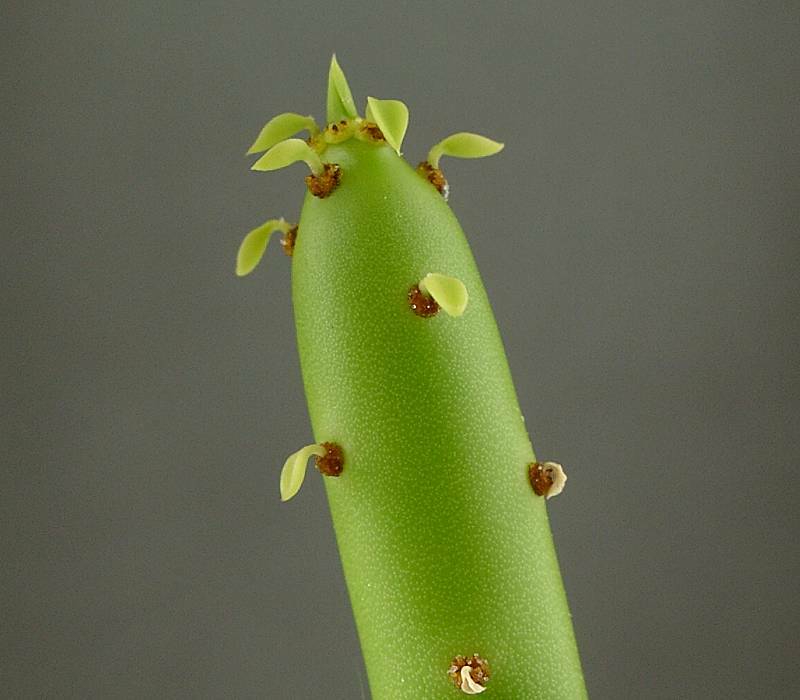 Check out this interesting article from Dave’s Garden on medusoid euphorbias. My cuttings have definitely rooted—the brighter green “shoots” on the left are new growth. © Kelly Kilpatrick, Flora Dora Gardens. Reproduced with permission. Click here to visit Kelly’s blog. Euphorbia leucodendron is a spineless shrub from Madagascar with cylindrical branches a little thicker than a standard pencil, hence its common name “pencil tree.” In its native habitat it is known to grow to 12 ft. but in cultivation 4-6 ft. is more typical. For most of the year, the branches are bare, but in summer tiny leaves appear on the growing tips (see here). According to some sources, Euphorbia leucodendron is hardy to 25°F, so I may leave mine outside next winter. By then it will have fully rooted and put on quite a bit of growth. Larger Euphorbia leucodendron in Candy “Sweetstuff’s” collection. Click here to see more Google image results. The regular form of Euphorbia lactea is an upright shrub or small tree up to 15 ft. in height (check out this impressive specimen). The crested form, sometimes indicated by the Latin word “cristata,” is a natural or environmentally induced mutation that causes the normally straight stems to twist and undulate. The result is often so bizarre that it borders on the ugly. But many succulent collectors are fascinated by such oddities, myself included. There are many different crested forms of Euphorbia lactea, varying in color and shape. They are considered very difficult to grow on their own roots due to the lack of chlorophyll. For this reason, they are typically grafted onto hardier euphorbias such as Euphorbia neriifolia. Euphorbia lactea ‘Rainbow Crest’ has become very popular. I bought mine at Lowe’s, but I’ve also seen beautiful specimens at IKEA. The only cactus I’m overwintering inside is Discocactus araneispinus, a small cactus from Southern Brazil. Considered the easiest member of the genus Discocactus, it’s still not an easy cactus to grow. It wants to be kept at temperatures above 50°F and can rot easily if overwatered. At the same time, it needs some water, otherwise its fine roots will desiccate. Definitely a higher-maintenance plant than what I’m used to! At 2,103 words, this ended up being the longest single post I’ve written to date. No wonder it took me all week to finish it! I get very excited when I discover something new, and I hope some of my enthusiasm has rubbed off on you. Who knows, maybe you’ll end taking a walk on the weird side of the plant kingdom in the new year! I do like some of these oddities, especially stapeliads and adeniums. The Euphorbia flanaganii is lovely! Mark, I love exploring new things, and I'm happy to know that there's always something else to discover. 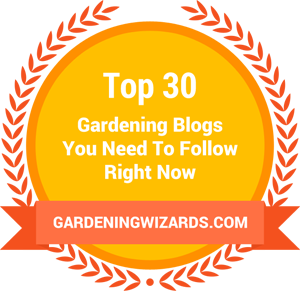 Your blog has certainly introduced me to many plants I'd never heard of before. Alan, many of these are reputed to be fast growing, especially if given plenty of water and fertilizer in the summer. I'll post an update in 6 months for comparison. All images display for me. I hope it was just a temporary fluke. Fabulous post! What a wonderful idea to include an image of the plant in it's habitat or at least an older version. Good luck with your guests! Loree, just this morning I noticed some unwelcome guests--spider mites. Out came the insecticidal soap spray. I need to keep on top of those critters before they multiply.